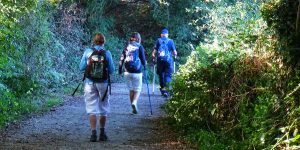 Following our blog post on the 5 books to read we want to give you a few movies to watch about walking the Camino de Santiago. Films featuring the Camino are both inspiring and full of adventure. The footage will allow you to becomes familiar with the rugged landscapes along the many routes and provide you with examples of the unique individuals you might meet on your next tour. We suggest that you get a bowl of popcorn, a good bottle of Spanish wine and prepare to be motivated to go on a journey of a lifetime. 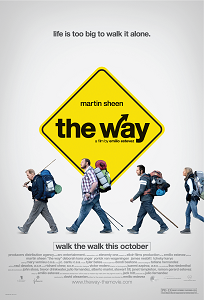 This is probably the most popular movies about the Camino de Santiago. The story follows a loving father and son plot, detailing the journey of Thomas Avery (actor Martin Sheen) along the Camino Frances to Santiago de Compostela. The film starts off with the death of Mr.Avery’s son, played by Emilio Estevez. Mr.Avery uses various points along the Camino to scatter his sons ashes. We get a glimpse into the types of characters you could bump into while walking the Camino. Each character has a unique reason for taking on the long-distance journey but the plot focuses on Thomas’s mourning, sense of loss and spiritual motivations behind the walk. There are some great scenes of the Northern Spain’s landscapes that you will find yourself trekking across and the quaint villages with friendly locals. 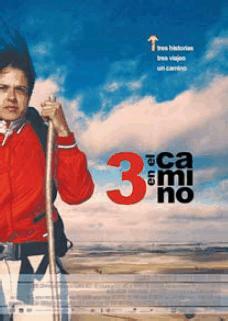 This is a great documentary film for anyone interested in learning about the Camino Walk. The director Lydia B.Smith and her crew begin their journey at St. Jean Pied de Port, travelling to the finish line at Santiago de Compostela. They meet over 15 pilgrims and interview many Camino experts along the way. This short movie gives us fresh insights into the reasons why people may choose to take the spiritual walk across Northern Spain. 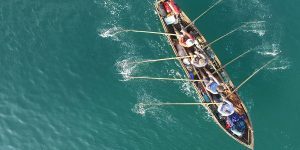 The crews experiences are recorded and a lot of the footage is in a personal diary format. Best friends Justin and Patrick decide to embark on the Camino journey together. After Justin was diagnosed with a rare neuromuscular disease that left him without the use of his arms and legs he was confined to a wheelchair. As it had been Justin dream to walk the famous Camino de Santiago Patrick agreed to push him all along the route. With highs, lows, challenges and emotions, this is a beautiful story of friendship and overcoming boundaries. This critically acclaimed documentary is also called ‘Within the Way Without’. The story tells the journey of three individuals; one lonely man from Holland, a Japanese poet and a strong Brazilian girl. Each character is walking the Camino in different seasons of the year and for different reasons. The expedition affects each of them each in a unique way. This film has recently been made available to watch on YouTube. Paul Tobey is both a renowned film-maker and a pianist. This is evident in his movie with some beautifully composed music. In this film we get sample the stunning scenery along the route of Camino Frances. It also brings us closer to the pilgrims spiritual journey with interviews of some modern day spiritual adventure seekers. ‘Camino, the journey to Santiago’ is a short independent documentary filmed by Alicia Wszelaki and premiered in 2013. Beautifully shot, this intimate film follows the Camino journey from St Jean Pied de Port to Fisterra. 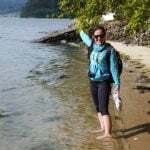 In 2013 we interviewed director Alicia about her Camino movie. 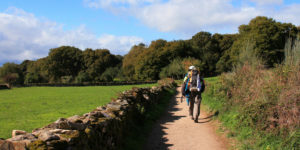 Do you know any inspiring movies about walking the Camino de Santiago? If so, we would love to hear about them. If you would like more information or to book your Camino de Santiago trip contact one of our travel specialists. I recently came back from. Religious Pilgrimage tour of Lourdes, Fatima and Santiago de Compostela. 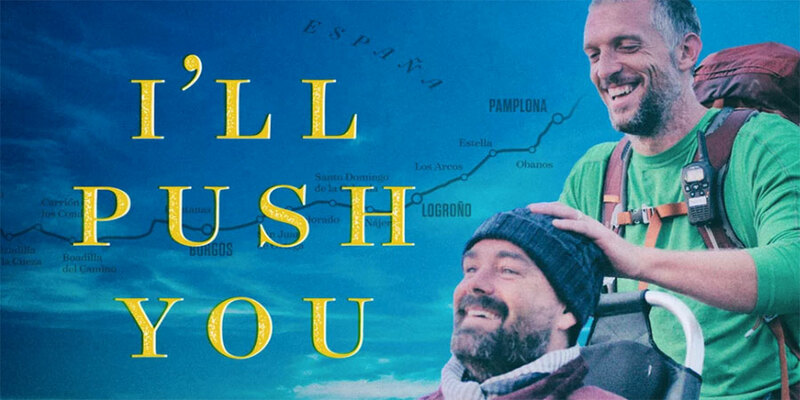 When I came back, I saw a segment on ‘I’ll Push You: A Journey of 500 Miles (2017) and want to know if this film is already available and where I can get it. Thanks. Good list. But I do not recommend you waste your money (like I did) on the 15 minutes movie Camino, the journey to Santiago (2013). Thanks for the suggestion, Peter! I recently saw a magnificent little film called “Looking For Infinity: El Camino” I highly suggest it. Hi Paul, I think you may be speaking about the film called ‘I’m Off Then’. It came out in December last year and is very popular in Germany. See here for the imdb link: http://www.imdb.com/title/tt3863870/ We haven’t found a version with subtitles but if you do please let us know. Kindest regards, Lisa. I was in St Jean Pied de PortPort a couple of yes ago and a German film crew we’re on location filming. Any idea what the movie is about and when it will be out?